This last Saturday I was able to join up with the Seattle Majestics for their 2017 season home opener at French Field in Kent, WA. I knew this was going to be a blast simply cause it's Football, but I had no idea how wrapped up I would become in the energy and pure emotion coming off the sideline. These ladies are in a class of their own. The dedication they have to their teammates and passion for the game is what makes for some of the epic sports stories of we see in Hollywood today. And that's not to mention the incredible hits, and big plays that one comes to expect from the gridiron. This was the first time I shot football in a little over a year, so this game was more about shaking off that rust and getting back into the rhythm of things. I can't wait to get back out there next week to see these athletes back in action!!! 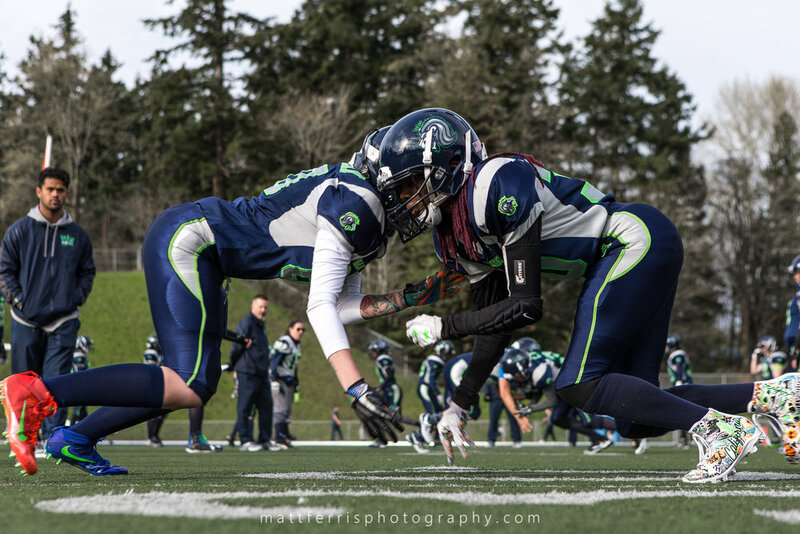 Here's a few highlights from Seattle's, 24-21 win over a game Portland Fighting Shockwave on April 8th, 2017.